these boho bags are just what you need! 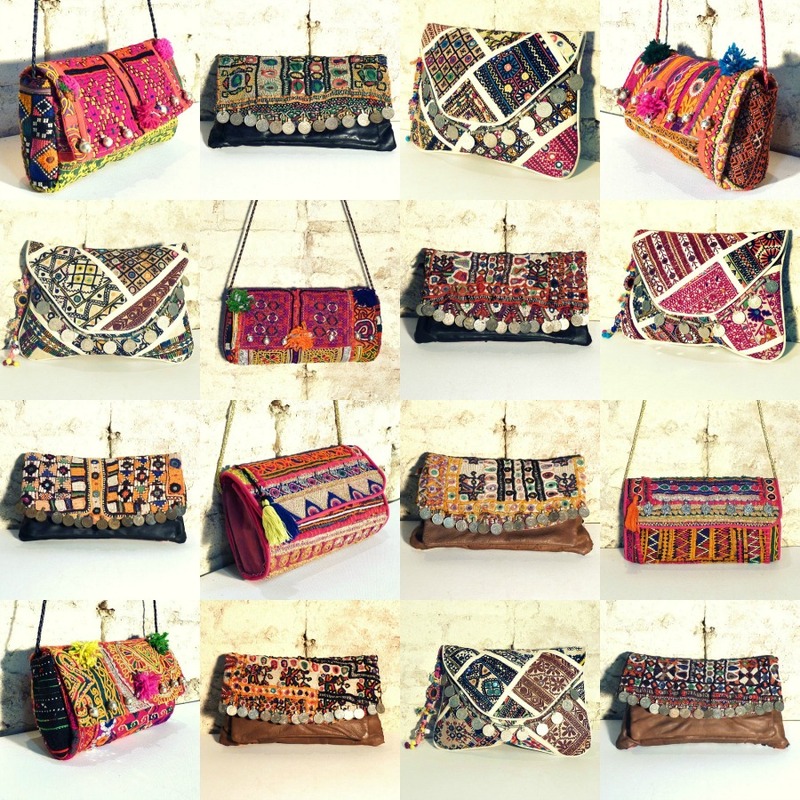 Beautifully handmade in India to the highest quality, this fabulous collection of gorgeous, authentic bags are made from genuine vintage Indian embroidery and embellished with vintage coins, bells, mirrors and tassels. Choose from leather clutch coin bags, brightly embroidered handbags and envelope clutches that even double up as a fancy Ipad holder! These little beauties are all one-of-a-kind so there’s no time to waist! Treat yourself or someone you love with a beautifully original gift this Christmas.